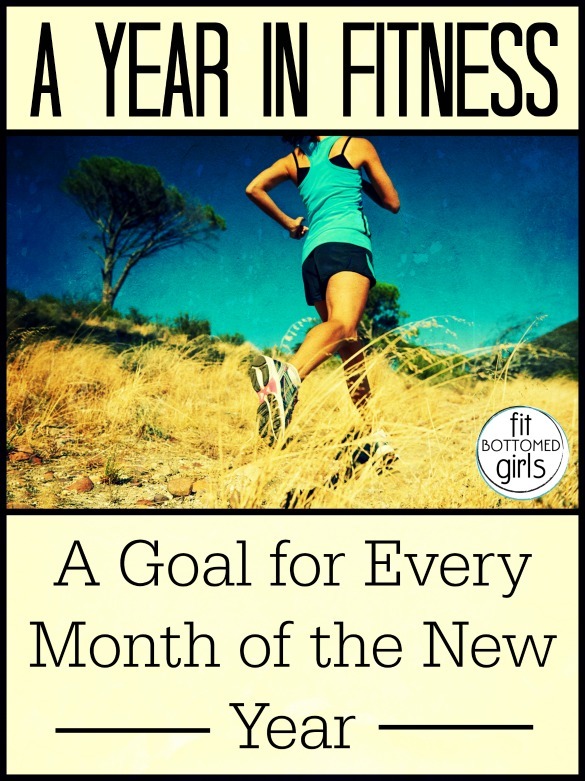 We love goals up in here, so when we got these month-by-month tips from Life Fitness on how to become more fit and healthy year-round (and not just in January and February, like most New Year’s resolutions), we just had to share them! Adding just one new fitness move each month can make a significant difference in your ultimate progress throughout the year. Follow these month-to-month tips and discover effective ways to achieve new fitness goals in the New Year. January: Write down your goals. Whether you want to lose pounds or increase energy, make an effort to document your goals. Keep copies of your defined fitness plan on your smart phone, desk, refrigerator or anywhere else you will regularly see it. Doing so will provide a constant reminder of what you want to achieve. February: Work with a personal trainer. Hiring a certified personal trainer is an investment worth making when you’re working toward reaching your annual fitness goal. A trainer will keep you accountable while serving as a coach and cheerleader. You can also work with a trainer to create a personal goal timeline, which you can follow throughout the year. March: Track your progress. What is more inspiring than seeing visible progress in the mirror or watching the numbers decrease on the scale? Record your progress regularly to continue the momentum. Be sure to reward yourself when you’ve met goals within your set timeline—keep it simple, like a massage or a new pair of shoes. April: Visualize your goals. If your goals include performing 20 traditional push-ups or running two consecutive miles, close your eyes and visualize yourself in action. For a few minutes every day, notice your form, strength and how you will feel during the 20th push-up or the last quarter mile. Visualizing yourself completing your goal will keep you on track to meet it. May: Learn a new fitness skill. You are nearing the middle of the year, and it’s time to kick your skills up a notch. Learning yoga, kick-boxing or karate will increase your scope of fitness abilities, and seeing the physical rewards of learning a new move will keep you motivated to continue your fitness regimen for the remainder of the year. Joining a class is a great way to improve your skills and meet new people at the same time. June: Participate in a sports league. Playing a soccer or dodgeball game twice a week is a great way to keep fitness fun and add a little friendly competition to the mix. It also offers a great social aspect to exercising— find an adult sports league in your area and ask your buddies to join. July: Try doing “real” pull-ups. This type of goal can be extremely motivating and satisfying when met. During the month of July, try to work your way up to completing three or more real pull-ups, meaning no assistance or use of a machine. Pull-ups are a tough move, so completing any number of them on your own is a goal worth meeting! August: Complete a 5K. Run/walks for a cause are extremely popular during the summer months. Whether you run, jog or walk, there’s nothing like completing a race, especially when it’s for a charity. It’s as simple as finding a cause, finding a partner and choosing a race. Keep the finish line in mind, and plan a relaxing reward to celebrate your hard work! September: Set a schedule. Nothing crushes an end goal like inconsistent workout times. Understand whether you’re an early bird or a night owl, pick a workout time accordingly and stick with it. Maintaining a consistent schedule is one more way to make attaining your goals a little easier to do. October: Find a workout partner. While some people prefer solitude, a partner can offer spotting during weight training, support during the last leg of a run and motivation to hit the gym on a lazy day. Enlist the help of a neighbor, family member or friend who is at your fitness level and share the training journey together. Hold one another accountable for the workouts you plan, and you’ll be less inclined to skip a session. November: Engage in more cross-training. For most, the weather is cooling off and winter doldrums may start to set in. Cross-training offers a variety of activities and can be an effective way to burn a lot of calories while reducing impact on your joints. Choose a cross-trainer that incorporates upper- and lower-body movement to really get the heart pumping. Try mixing your cardio and strength workouts together and see what physical improvements you can make by incorporating cross-training this month. December: Meditate regularly. This practice decreases stress and will improve your mood. Find a place you are most comfortable and breathe deeply through your nose for 10 minutes, clearing your mind and relaxing your muscles. Use this time to recharge your mind and body when holiday stress sets in. i was thrilled to read this article and to learn that i have already set most of these goals on my own and have set smaller goals to reach some of them. i am personally a fan of breaking my year into 5 or 6 week periods, each of which ha a few base goals (like drinking more water, running twice a week, and tracking my food intake). then, each week on saturday night i set specific goals for the next week (drink 9 glasses of water each day, run at 7 mph for 30 minutes, write down everything i eat and how many calories i consumed each meal) that will help me reach my period goals. i also write down what goals i met over the last week and what i feel i should put more effort into. yes, it means a lot of writing and a lot of reviewing my goals, but it keeps my goals and progress right in front of me at all times and makes it easier for me to meet and intensify my goals so that my fitness never stagnates.